One, or a specific quantity. 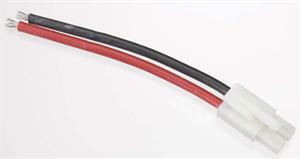 TAMIYA motor end/charging connector, with 6" heavy-guage wire leads (black & red). 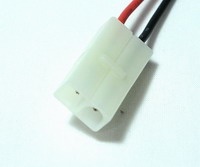 This end typically goes on the motor or Charger. 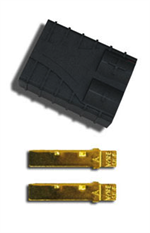 Choose quantity (save $$ on unit price when buying in bulk). 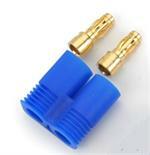 Order 100 pcs for $ 110.00 (1.10 per conn.).